Time to fill the barn! 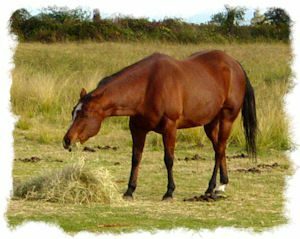 Yes, it’s the Fall Alfalfa Sale at Rainbow – with the best price of the year on quality, 3-wire alfalfa hay from Menne Ranch in Northern California. Rainbow Ag has been dealing with the Menne Ranch – a family owned business like Rainbow Ag – for over 25 years. Come in October 4 through 10th to order and pay for this great quality Alfalfa for only $11.99 a bale, then pick it up any time before October 31. 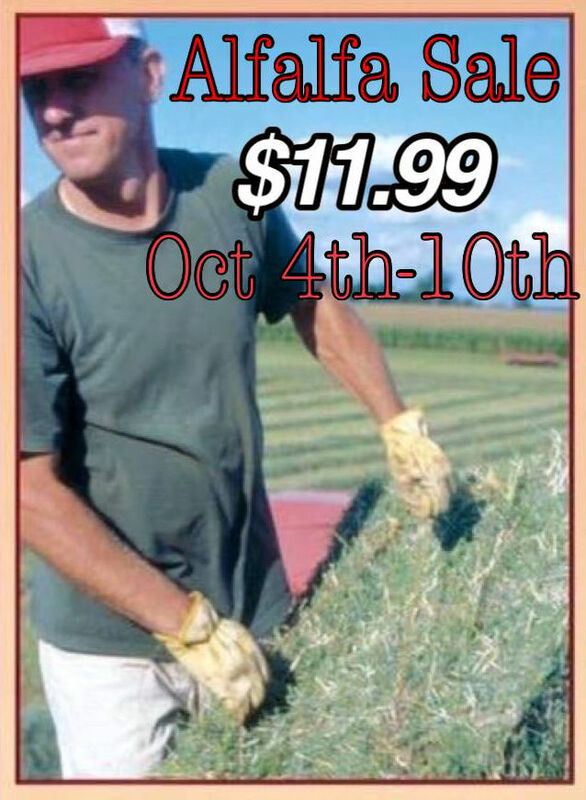 There is a 100 bale limit per customer, so come in early and reserve your alfalfa! Spooky fun is in store on Saturday October 29. It’s the Rainbow Pet Costume Contest, at both Rainbow stores! Bring a pet in costume to save on your purchases that day, and enter the contest for prizes. All critters are welcome! Dogs, chickens, tortoises and horses too! Bring your favorite fur-iend or just come enjoy the show! It’s sure to be a spook-tacular fun day. Need a chain saw? How about a mower? Or perhaps that old leaf blower has “blown up?” Save on all Outdoor Power Equipment during the Cost + 10% Sale on all Outdoor Power Equipment on November 4 & 5. Rainbow’s trained OPE specialists will be on hand to help you select the Stihl, Husqvarna, Honda, BCS, Billy Goat, and Echo product that will help you get your jobs done. This month’s subscriber coupon is good for 25% Off any Miller product – that is a big selection of stuff! Miller makes buckets, muck tubs, manure forks, grain scoops, water trough floats, grooming totes, and more! We can always use a new bucket or manure fork! Just print out this month’s subscriber coupon and save on the item of your choice! Rain is in the forecast! 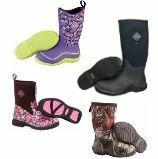 Be prepared for wet weather with rain boots from Muck Boots and Boggs – in a great selection of sizes and styles for every member of the family. Though we might be sick of it by spring, splashing through a few puddles sounds good right now! Fall boots and clothing are arriving daily at the Rainbow Ag near you – come in and check it out. Don’t forget to enter this month’s Trivia Contest – Win a $15.00 Rainbow Gift Card! Last month’s question was What will Redwood Riders will be showing off when they hold their first-ever Dressage Schooling Show? The answer is, New Arena Footing! The winner is Pam Respini. This month’s question – Which of these is a Miller product? Enter Here! This entry was posted on Friday, September 30th, 2016 at 3:06 pm	and is filed under News, On The Right Lead Newsletter. You can follow any responses to this entry through the RSS 2.0 feed. Both comments and pings are currently closed.